The 11 fights on the card are now finalized. A good combination of experience and youth is the main element of the boxing card called “The Defense of Chihuahua” to be held on Friday, December 8 at the Arena Coliseo in this city. The experience begins in the main event, a 10 round super welter bout where Mario “Águila” Lozano (30-7, 23 KO), Chihuahua will face Julio César “Viking” Ávalos, (17-5; 8 KOs) from Guadalajara, Jalisco, who trains in the gym of José ‘Chepo’ Reynoso, manager and coach of Saúl ‘Canelo’ Álvarez. ‘Águila’ Lozano returns after a year and a half out of the ring, having left after a victory over Erik Mireles. Lozano said that before his break he faced high-performance fighters, so he feels confident of being able to overcome Vikingo’s challenge. Lozano has faced rivals such as Jermell Charlo, current WBC Welterweight World Champion, Charles Hatley and Karim Rasheed Mayfield. On the other hand, “Vikingo” Ávalos has had the opportunity to fight for the Intercontinental WBO middleweight title vs. Tommy Langford, in Dublin, Republic of Ireland. Ávalos and Lozano, have different goals coming into the fight. For his part, Avalos seeks to use the fight as a step to reach larger national and international matches. On the other hand, Lozano will seek to prove that he remains within the elite of Mexican boxing. In the co-main event, Adalberto “Terrible” Borquez (29-7-1, 26 KO), from Guadalajara, will test Rafael “Indio” Proaño of Chihuahua (10-2-3, 7 KO), in match set for 8 rounds in superlightweight division. Proaño has not responded to the statement. The youth aspect of the card comes by way of two outstanding amateur fighters that are currently undefeated as professionals. In a special attraction, agreed to 6 rounds in the bantamweight division, the undefeated fighter from Riverside, California, Joseph “Tigre” Landeros will go after his 12th victory and the same number of knockouts, against Juan “Veneno” Esparza (4-1- 1; 2 KO), from Guadalajara, Jalisco, Mexico. 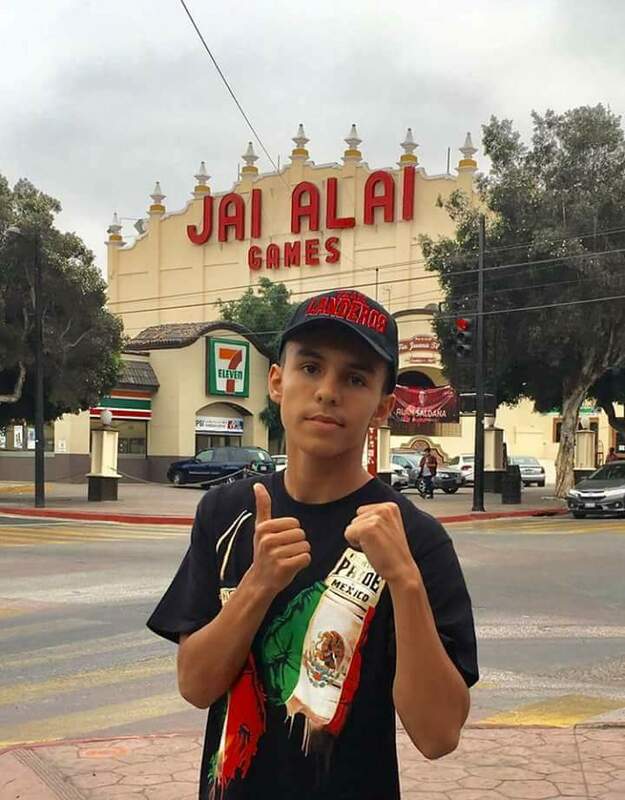 “I know that Esparza also had a good career as an amateur and I have prepared myself conscientiously for this new venue for me, it is interesting to perform to a different audience and that motivates me to offer a good show,” said Landeros, the 16 year old fighter. “I am grateful for the opportunity to present myself in Chihuahua,” said Landeros, “all that experience in Mexican rigns has made me grow as a professional boxer”. His opponent is also confident: “Landeros’ record does not scare me, I’m finally going to fight in my weight class and that’s what matters most to me and motivates me. So far, I’ve surpassed almost all the fighters I’ve faced, including Luis Angel Hernández, whom I beat in 8 rounds and that was in the lightweight division. He had 19 fights, “Esparza said. “I know he’s a good fighter, but I think I have enough talent to face him,” Esparza added. In another 6 round fight, in the Super Bantamweight division, José “Hollywood” Estrella (18-13; 12 KO), from Tijuana, Baja California, will fight against the undefeated Adolfo “Lee” Castillo (7-0, 4KO), from Torreón, Coahuila, who at 21, is in a hurry to reach the top of boxing and face an experienced fighters. “My goal is to fight for the world title next year. Now, all the rivals are dangerous, especially young people who are hungry, said Estrella, who has already fought against top opposition, such as Christopher ‘El Pitufo’ Díaz, Rocco Santomuro and Diego de la Hoya. “I have no doubt that even at this point in my career, I can beat him,” said Castillo, who requested the fight against the Tijuana fighter, after Estrella’s original rival, Alexis Ruiz, retired from the fight. Castillo is backed by extensive experience in national competitions in Mexico, where he had 70 amateur fights. Estrella will be the most difficult test so far in his career as a boxer. The event is supported by the Municipal Government of Chihuahua through the Institute of Physical Culture and Sports. Tickets are available through boletito.com and Buffalo Wild Wings, with prices from 100 pesos for general admission to 400 pesos for ringside seats. The boxing show will be recorded for tape delay broadcast to the United States, Puerto Rico and Spain, through the weekly program World Class Boxing of LATV Networks. Joseph Landeros vs. Juan Esparza; 6 rounds, Bantanweight. Jose Estrella vs. Adolfo Castillo; 6 rounds, Super Bantamweight.